The Mediterranean Sea is a complex area. It’s the location of numerous countries and different cultures that converge from the beginning of times. Its geographical characteristics have allowed the commerce and cultural exchange for centuries, also has helped the developed to the occidental civilisation as we all know it nowadays. In this sense, it’s logic to understand that the difference and influences from many different Mediterranean cultures have helped to create what we all know as the Mediterranean Diet. The Mediterranean Diet is a valuable cultural heritage that represents much that just a simple way of eating. It’s not just rich and healthy it is also a balanced lifestyle that encloses recipes, celebrations and typical products during human activities. 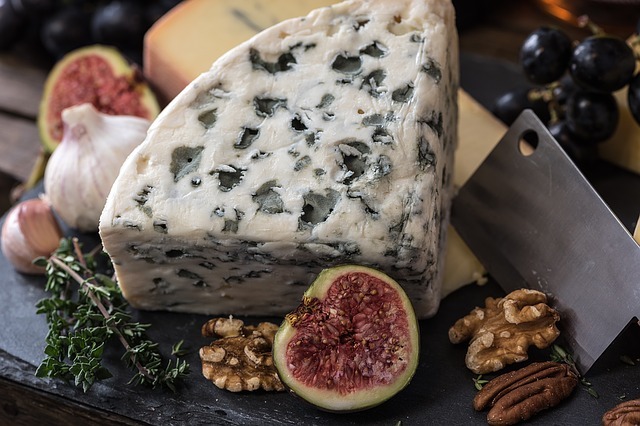 Amongst the numerous properties of the Mediterranean Diet stands the type of fat that characterises it like olive oil, fish and nuts, as well the proportion of nutrients on the main courses. Also, not forget to mention the micronutrients that came from the seasonal ingredients, aromatic herbs and spices. On this post, you will find out that delicious Mediterranean food that drives everyone crazy. It’s a fabulous way to enjoy countries through its mouthwatering dishes as well as learn and understand the cultures through its flavours. Learn more about the Mediterranean Food and discover Europe through its flavours. Spain dedicates more than the 60% of its arable land to typical Mediterranean products. You can visit Spain from north to south and enjoy its delicious and traditional dishes. On the south, we find Andalucía, famous for its beautiful squares and also for its hot temperatures. During summer this region reaches the highest temperatures of the Iberian Peninsula. The reason why its most famous dish is the “Gazpacho”, a delicious cold soup, which main ingredients are the tomatoes, cucumbers, onions and olive oil. Also, there is another similar recipe, lesser know but as delicious, the Salmorejo. Furthermore, if you are visiting the beautiful beaches of Valencia, you cannot miss the opportunity to try a delicious Paella. 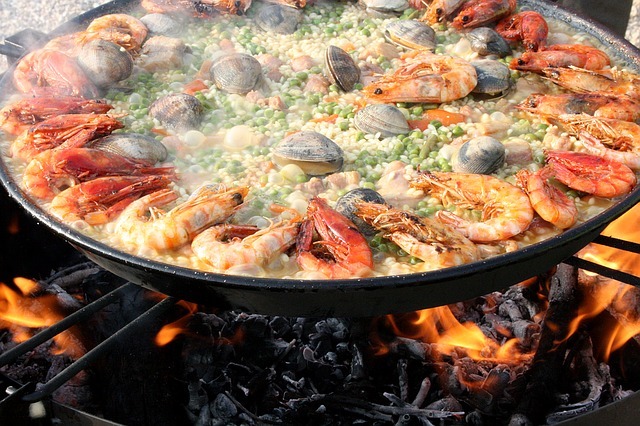 We can say that Paella is the most famous dish in the country. The main ingredients are rice, poultry and vegetables. Also, if you are in the beautiful and powerful Barcelona, you cannot miss the opportunity to try its delicious Escalibada. Red pepper and aubergine seem to be the perfect blend for a top Mediterranean dish. French food has become famous all over the world. Nowadays, you can find French food in the most famous restaurants all over the world. However, nothing can overcome the diversity and originality of its origins. 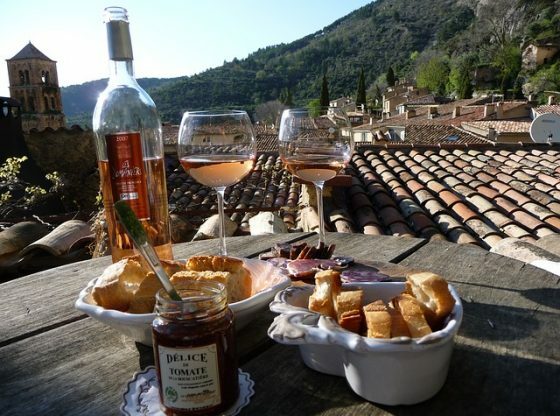 Provenza and the southern regions of France features a delicious and typical Mediterranean food. Thanks to its mild climate and its idyllic location, its inhabitants can try fresh fish, delicious meats, fruits and vegetables for the whole year. Also, we cannot forget that this area has strong influences from many different Mediterranean countries. The possibilities in the Gastronomic offer from Provença are vast. Marsella, one of the biggest cities in the country, is home to the Bouillabaisse. This dish includes three types of fishes from the region, like the greater weever, European congrio and bejel. In Marseille, this Fish Bouillon comes with rouille, which is a delicious provençal sauce. Also, most of the typical Mediterranean Food of France includes Lavanda, basil and Romero. The perfect drink to accompany this Fish Bouillon is the Rose wine. Furthermore, the Provence is also famous for Calissons d’Aix. The Calissons are sweets, like a cookie and petal-shaped. The pasta features almonds, candied fruit covered with a white frosting. If there is something that characterises the everyday life in Italy, it is the Mediterranean Food. The Italian food is easy to find everywhere you go, and that is because this delicious Mediterranean Food is easy to transport, thanks to its easy-to-find ingredients like bread and pasta. If you are going to visit the Northern area of Italy, you must try its delicious risottos and carpaccios. As in all the Mediterranean, the main ingredient is the olive oil. The southern area of Italy includes pizza and macaroni accompanied with the typical and delicious Bolognese sauce. In addition, Italy is well-known for its desserts, from which stands Tiramisu, pannacotta and the panettone. For Italians, food is an artistic expression. The Italian Mediterranean Food is mainly based on mixture, textures and tastes, all accompanied with different aromas and sauces. The best flavours of the Mediterranean come all together in the Greek gastronomy. Lemon, garlic, olives, lamb, fish and tomatoes all of them seasoned with spice herbs. Greek lifestyle is reflexed in its delicious culinary options, greek food is not pretentious and is full of flavour. This Mediterranean Food coexists with the oriental cuisine, on the greek tables you can see the influences of its neighbours, the Turkish. The Turkish influences are palpable in the “Dolmades”, vegetable dishes, in the cooking way to prepared meats and seasoning, as well as of course the way they love pistachios and dried apricots. Greeks prefer meat dishes over fish, however, fish is a very popular dish in the numerous beachfront restaurants of Greece. Lamb is the most favourite meat in Greece, and it’s the main ingredient in most of the local dishes. But certainly, the most famous dish is, of course, the Moussaka. 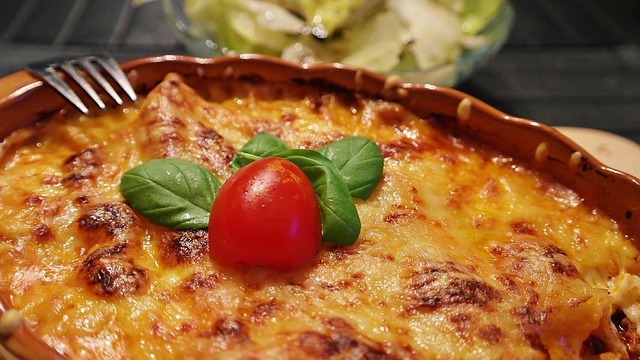 The moussaka is a rectangular shaped cake that combines layers of minced meat with aubergines, gratin with cheese and in some regions comes with potatoes. 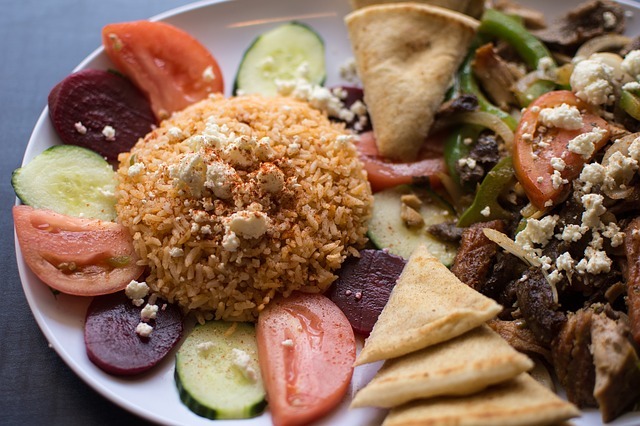 Another delicious and typical Mediterranean dish is the Greek Salad. The “Salata Horiatiki” carries tomatoes, black olives, onion, cucumbers and green pepper, seasoned with olive oil and oregano and topped with delicious feta cheese. The salad blends to perfection with retsina wine.